Song is “Time Limit” by Casiopea. Yoyo used is the Hour by Werrd. “This trick illustrates use of a crossing double upright slack throw, and is something of a sequel to Mighty Mousse. Song is “Mr. Toad’s Wild Ride” by Tower of Power. by 365YoYoTricks on June 21, 2013 in News with Comments Off on Jacob Jensen Joins 365yoyotricks.com! 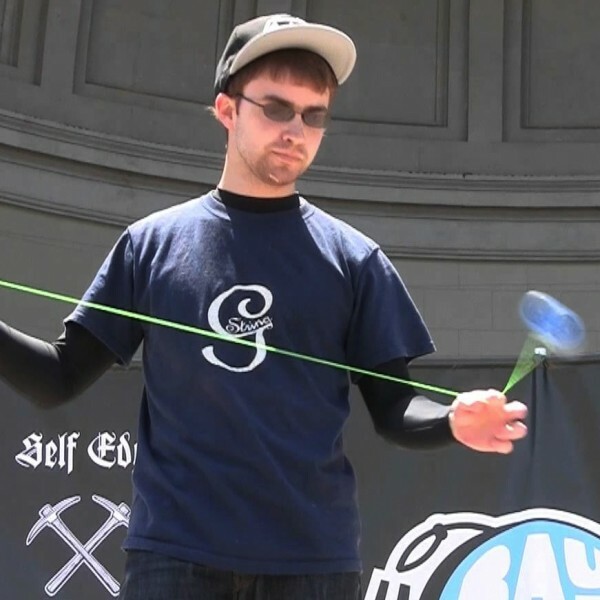 365yoyotricks.com is incredibly pleased to announce a late addition to the 2013 season of 365yoyotricks….Werrd Alliance member Jacob Jensen! Jacob’s constant exploration of risky, timing-sensitive counterweight tricks is a huge inspiration to aspiring counterweight players, and we’re really excited to see what he contributes to the roster. Jacob will be taking over the Thursday trick slot. Jacob is sponsored by Werrd yoyos and G-String. Song is “Archimedes Depression” by Prism. Song is “Liberty City” by Tropical Jazz Big Band.